As well-being of the school community has become a priority item on the agenda of Hong Kong education, an increasing number of local schools and education institutes have initiated their Positive Education journey. In this connection, the Foundation has been supporting quality programmes to equip more educators with the knowledge and skills of this education model. On May 19 to 21, 2018, the Foundation was proud to invite the Institute of Positive Education, Geelong Grammar School (“GGS”) to bring their training course “Discovering Positive Education” for the fourth time to Hong Kong. The 3-day course was delivered by seven GGS trainers, for 144 teachers and principals from 67 local aided and international schools. The learning experience during this three-day was comprehensive and engaging. In different plenary sessions, the GGS trainers provided an overview of important concepts of Positive Education, including the origins and basic theories of Positive Psychology, the science of flourishing, the components of PERMA-H and character strengths. 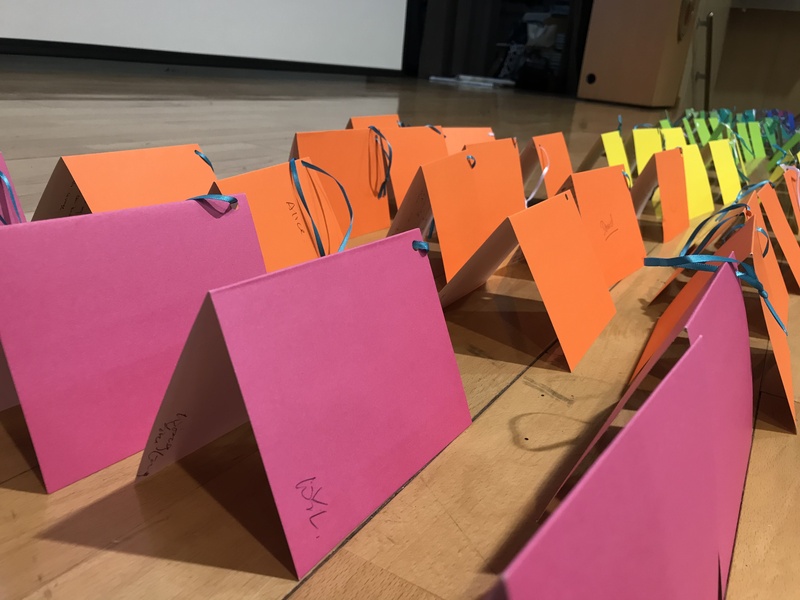 The participants were provided with rich, solid research information and exemplifications of how these components relate to the well-being of oneself and the school community. Apart from plenary sessions, the GGS team delivered breakout sessions in a smaller group size, so as to facilitate further discussions between trainers and participants and more in-depth sharings. In addition, the Wellbeing Symposium was held for participants to reflect on their precious moments of well-being in everyday life. We want pupils to live in a flourishing manner, know their own strengths, act on their strengths, be grateful and find meaning by positive engagement and etc. Yes, our school is interested in implementing Positive Education. We believe every student has their strength and hope to help them find the meaning of life. It's a really great course for both personal growth & practical use. The breakout sessions are very considerate to let us have a deeper focus & discussions on topics. The last activity of practising juggling is really inspiring that we can all change and grow and learn to be better. It is encouraging to witness that a rapidly growing group of school educators has been motivated to embark on the Positive Education journey. To take steps further, the Foundation is pleased to first bring an advanced course by GGS “Discovering MORE Positive Education Course” to Hong Kong in July; and to organize the first Positive Education Conference this November, inviting overseas speakers and trainers to share their latest development and research efforts in the field. Please stay tuned for our upcoming Positive Education events!